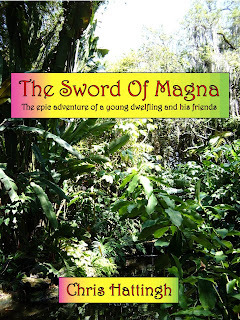 I am so glad that I had the chance to review Chris’ book, The Sword Of Magna. Not only did it fascinate me from page one, but it kept me interested till the very end. Chris has a very effective writing style that creates the perfect balance between traditional and modern story writing. His wording is brilliant as well, and you don’t need to read this book with a dictionary beside you. 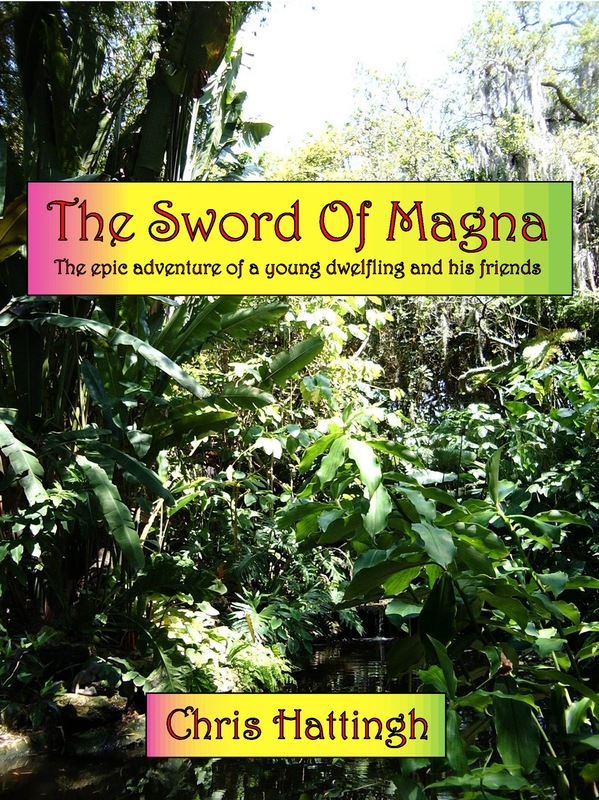 The story begins with the discovery of two mysterious artifacts – the hilt and tip of a golden sword. When both pieces of the sword suddenly get stolen (in two separate incidents), it’s up to Chryslan and his friends to find them again. Their quest draws them unsuspectingly into a sinister plot by the ruthless dagons to seize Axphalia for their own. The forest nymphs tell Chryslan of an ancient prophecy about a young dwelfling man who is supposed to wield the magical Sword Of Magna and defeat the treacherous dagons, but first he must find the two missing pieces and reforge the sword. Along the way he nearly drowns in the mighty Disappearing River, gets attacked by a fearsome sea serpent, gets taken captive by the brutal dagons and finally must face the terrifying Ildecor with the white-hot, freshly reforged sword burning his hand. I have to add though, while this book had me enthralled in its fantasy, there are some indications of romance as well. The love story within this book unfolds during Chryslan’s journey when he meets Heidi, a beautiful young orchnid girl. She steals his heart from the start, but will he be able to express his feelings to her in time? Or does fate have something different in mind when it comes to love? If you’re a fan of Lord of the Rings, this book will definitely be worth your time. It’s an epic fantasy with lots of surprises and unexpected twists. Packed with adventure, fun, suspense and unusual creatures, this book will take you to another world where fantasy has no boundaries and every day’s dull reality doesn’t exist. This review was written by up-and-coming South African author Loraine Lotter. Please visit her website at http://www.lorainelovestowrite.webs.com/ to read my review of her book "My Heart, His Soul".